There were survivors - According to Jason Tatum, there were a few survivors. His grandfather, Forest Gorden LeSueur, U.S. Navy was one of them. 100k Photographed on 6 April 1916, around the time of the ship's completion at Sparrows Point, Maryland. 108k This photograph may have been taken around the time of her inspection by the Third Naval District on 13 March 1918, the date on which she was delivered to the Navy. Naval Historical Center photo NH 105272. Dictionary of American Naval Fighting Ships: The second Chatham (No. 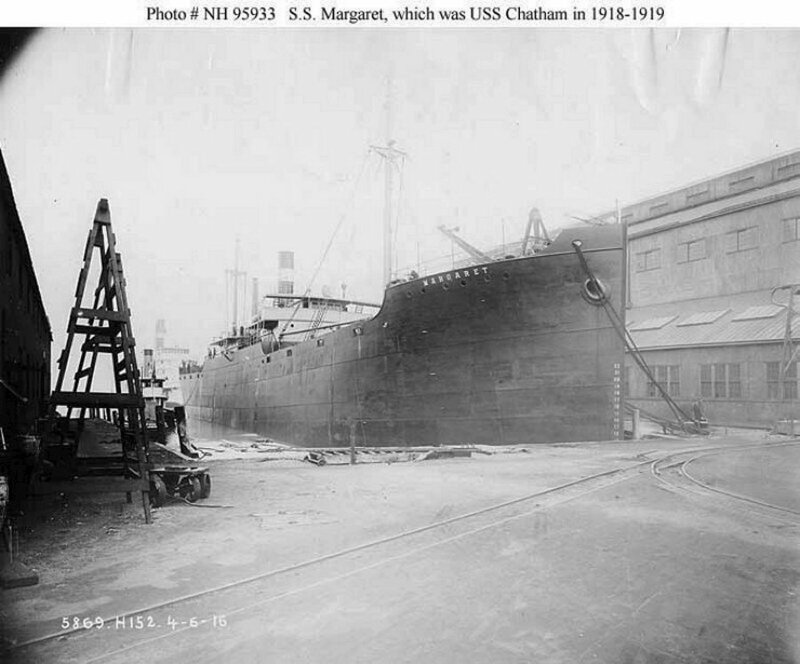 2510) was launched in 1916 by Maryland Steel Co., Sparrows Point, Md., as Margaret; acquired 13 March 1918 on charter, commissioned 26 March 1918 as Margaret; Lieutenant Commander T. J. Sammons, USNRF, in command, reported to the Naval Overseas Transportation Service, and was renamed Chatham 18 April 1918. 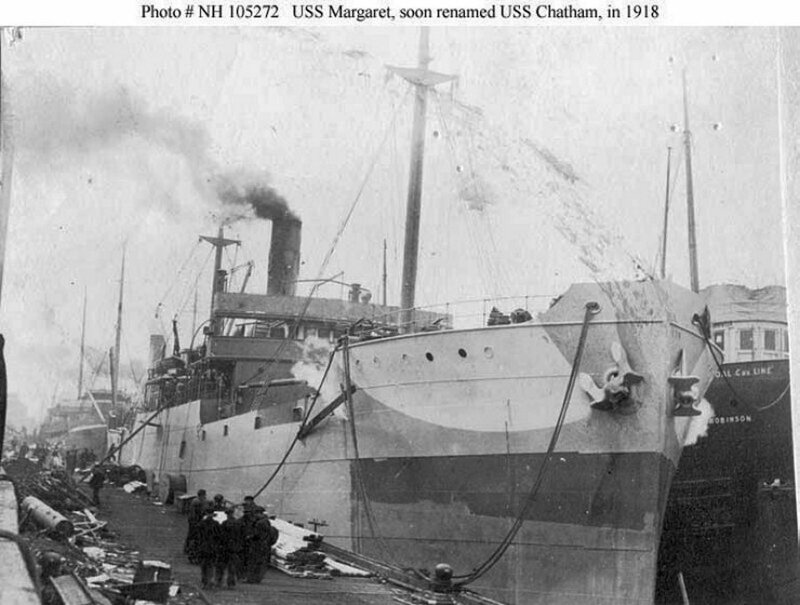 Between 1 April and 23 December 1918, Chatham made five voyages from east coast ports to France, carrying general cargo and supplies for the American Expeditionary Force, and on her last, for the Army of Occupation. She was decommissioned at New York 10 February 1919 and returned to the Shipping Board the same day.